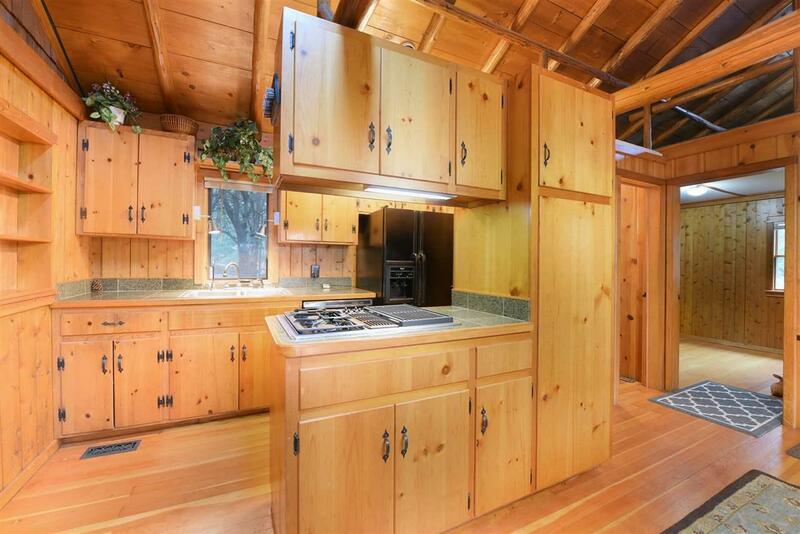 Spacious Lakefront Crystal Lake cottage with privacy & that great "Up North" feeling! Perfect for the purist who appreciates beautiful original woodwork, details & surroundings. The original cottage was built in the 40's, everything has been updated while preserving all of the character of a great rustic getaway with the spacious addition done in the 80's adding the master suite, living room and finished basement, a fireplace and woodstove to cozy up to with a good book. 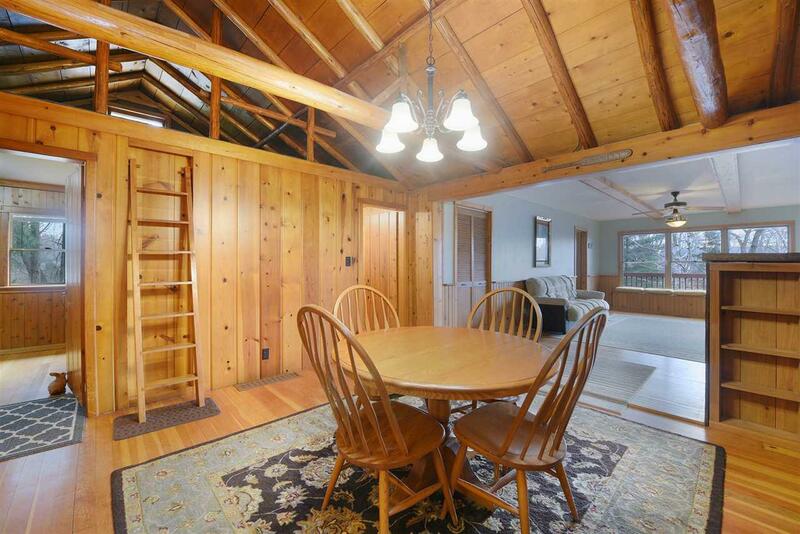 Fort like loft for the kids to play, tons of storage and over 1,600 square feet up & down of spacious living space. 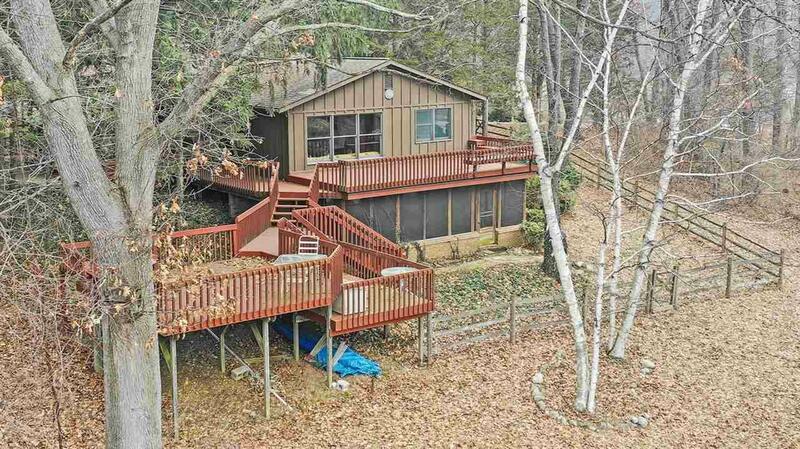 Just under 3 acres of low maintenance wooded property with magnificent scenic lake views, additional lots available. 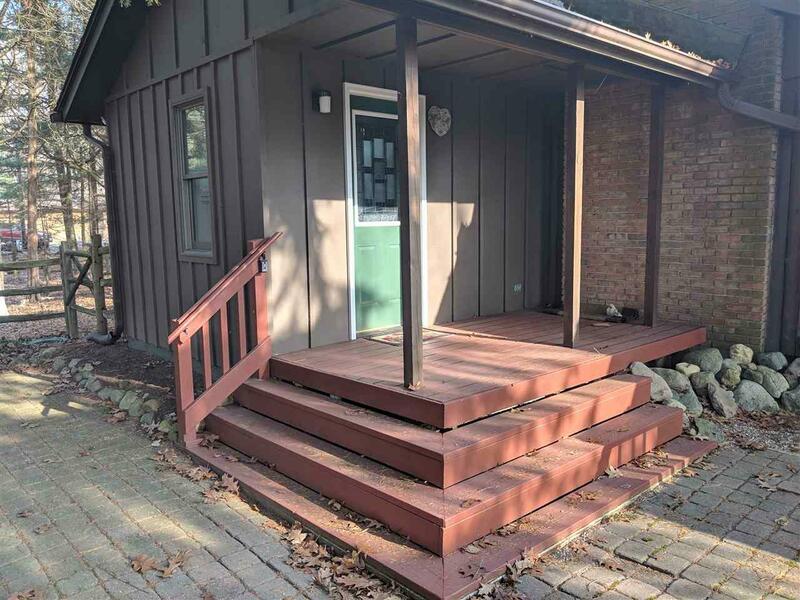 Nearly 1,000 sqft of terraced decking for lakeside entertaining. Fenced in yard & large 2 car garage. Absolute must see to appreciate this retreat. With acceptable offer, seller will include pontoon boat, paddle boat, sailboat & kayak ($10,000 value).